The Incubator for Social Enterprises and Entrepreneurs for Development (ISEED) at IRMA in collaboration with the AP Mahila Abhivrudhi Society (APMAS), National Association for Farmer Producer Organisations (NAFPO) and Green Colleges, organized a National Workshop on Strengthening Farmer Collectives on 7th March 2019. The Workshop saw representation from organizations like Vrutti, NIRD, APMAS, AKRSP(I), NABARD , IIHD, SPS, Action for Social Advancement (ASA), Safeharvest , Somnath FPO, Gujpro, FWWB and Rabo Bank. Sessions on Institutional Building in FPOs, “Strengthening Collectives: Markets, Institutions and CBO perspectives” and “FPO financing – Challenges and Opportunities” were conducted during the Workshop with participants sharing their views and knowledge. 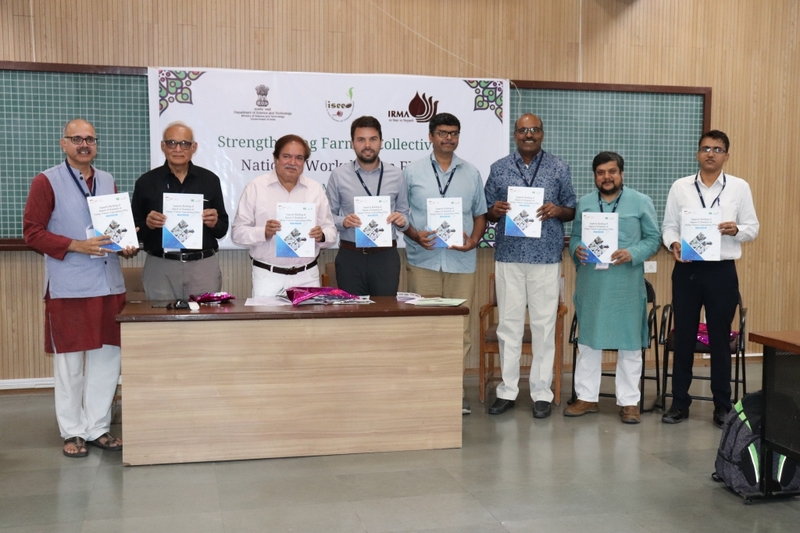 A trainers’ manual developed by Skill Green, an incubation of WHH (Welthungerhilfe) and NSFI (National Skills Foundation of India) as per the ASCI (Agriculture Skill Council of India) framework was also released at the Workshop. Shri Ashis Mondal, Director, Action for Social Advancement (ASA), moderated an interactive discussion on “Policy and Guidelines for FPOs”. The freewheeling interaction had all members participating and putting forth recommendations. The need for more regional consultations on FPO policy in collaboration with NAFPO was also discussed. Other discussions ranged from legal issues of FPOs to Training of Teachers by ISEED with GUJPRO and its other partners from Gujarat.